Buying a home can be stressful, but once you find the home of your dreams, it’s completely worth the effort. In most cases there are quite a few options when it comes to buying a home and some of the terms may be a bit confusing if you’re not familiar with them. 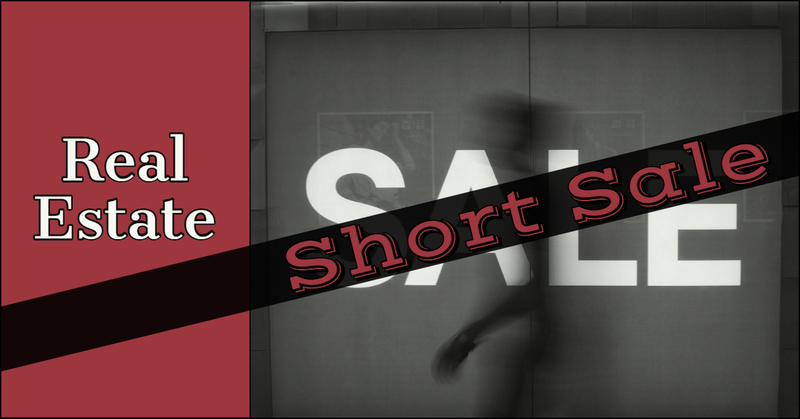 One of the terms you may come across when buying a home is a “short sale”. This post will explain what a short sale is, why they might be worth your consideration, and how to buy one. A real estate short sale is a home that is being sold for less than the outstanding mortgage left on it. A seller might opt to do this for a variety of reasons. One of the most common reasons for a short sale, is that the homeowner can no longer keep up with their mortgage payments. This may be due to loss of income or increase of expenses. In this case, a short sale is made to avoid foreclosure. A short sale can also occur if a home has significantly decreased in value since it was purchased. For example, imagine that you take out a $350,000 loan to buy a home that is appraised at $400,000. Two years down the line, you need to move due to a job relocation, but the housing market has tanked in your neighborhood, and the house is now only worth $300,000, which is less than you owe to the bank. If the homeowner can no longer afford to keep up with their mortgage payments, or otherwise needs to sell for less than the mortgage, they may contact the original lender and ask about putting the home up for a short sale. If the bank then agrees to these terms, they will essentially be allowing the home to be sold for less than what it is worth, knowing that they will not get paid back the entire amount that was originally borrowed. Why Do Banks Agree To Short Sales? Oftentimes a bank will agree to putting a home on the market as a short sale simply because it is a much easier and less expensive process than a foreclosure. Foreclosures are very time-consuming and require much more effort from the bank to get the home sold. Unlike short sales, a foreclosure is initiated by the lender and the homeowner is forced to put the home up for sale based on the borrower’s inability to make the mortgage payments. If a delinquent homeowner is still currently living in the home at the time, they must also be evicted by the lender. In the case that a homeowner is no longer living in the home, they may have altogether abandoned the property. In that case, it is then the complete responsibility of the lender to foreclose the home and put it up for sale on the market. Short sales are much easier to initiate and in a lot of cases, the current homeowners are cooperative in getting the home sold. Also, short sales usually aren’t as detrimental to a homeowner’s credit rating as a foreclosure would be. Because of these reasons, a short sale is often the preferred method of getting a home sold when a homeowner can no longer afford to make the payments. As a home buyer, a short sale can be a great way to find good property at a reasonable rate, without as much risk as buying a foreclosure. The first step to buying a short sale property is to find a trustworthy local real estate agent who has experience with short sales. The process isn’t the same as buying typical property, so for a short sale especially you should seek professional help. Next, get pre-approved for the mortgage prior to making an offer (assuming you’re not paying cash). The seller’s lender is trying to recoup as much money as possible from a deal that didn’t go their way, so they aren’t going to want to work with buyers who aren’t 100% on top of their game. After your loan is approved, make your first offer a good one. Your agent will help with this, but typically speaking, you don’t want to play lowball on a short sale. The seller’s lender is already losing money, and they are likely to receive a lot of offers from buyers just like you. So, a low offer has a good chance of getting completely ignored. Finally, be patient. The seller isn’t the only party you are working with; you’re also dealing with their mortgage company. The seller’s lender has to approve any short sale, and they are notorious for taking a long time to come to a decision. It is simply a matter of playing the waiting game. Sometimes it may help if you include a deadline with your offer, but it doesn’t guarantee that the bank will approve or deny your offer any sooner. You’ve just got to be patient. For most people the wait is worth it once their offer is approved and they can finally move into their new home at an awesome price.